This place is various inconspicuous, but when you look inside, you see all the signed autographs from various Japanese celebrities. In the picture it may look very busy, but that was pretty much the line. Doesn’t really go back any further. 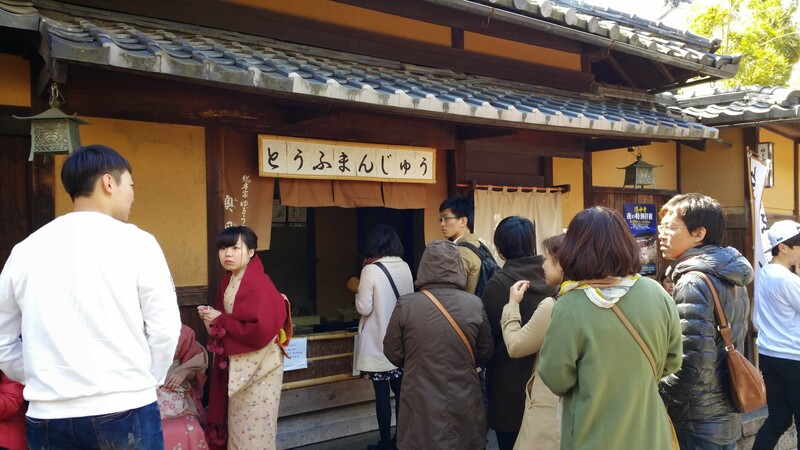 I should also mention that this place is near Kiyomizudera (a beautiful water temple) so there were many tourists around, but not particularly clambering for this delectable treat. There it is! 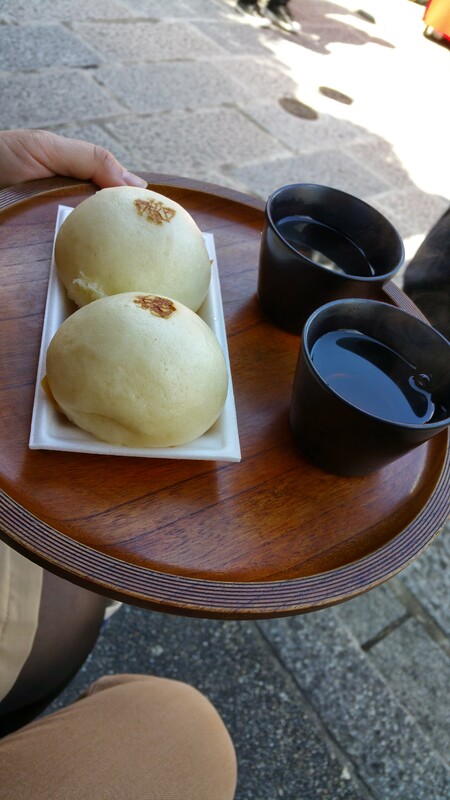 My most favorite food I had during my 2015 trip to Kyoto, Japan. It looks like a meat bun, but its tofu. It is so savory and moist. No flavors were to over powering and the tea went with it so well. My goodness! I really would travel back to Kyoto just for this. If you find yourself in that part of the world. Find your way to Tofumanjuu in Kyoto. It will be a definite highlight of your trip…and all your food adventures. Period.